The Vrae valley, Peru. Sacks of coca leafs are loaded at dusk. 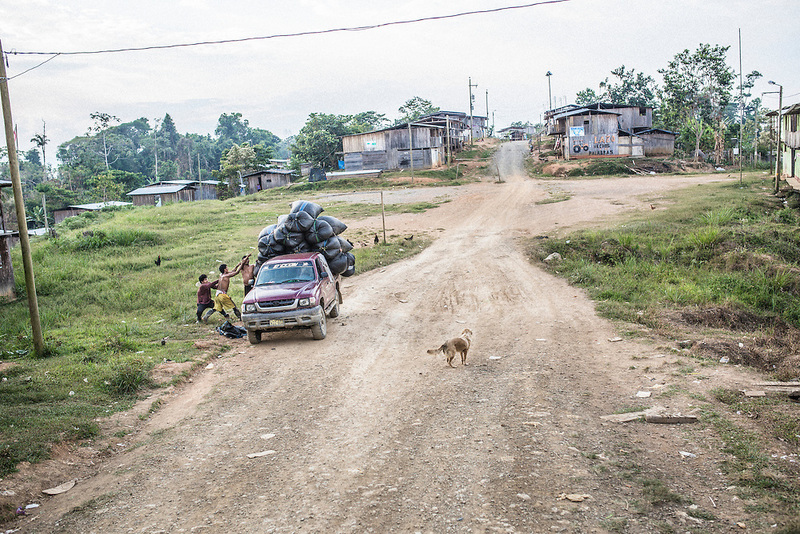 The village of Villa Progresso are as the rest of Vrae, impoverished. The latest statistics from UNICEF showed that 92 percent of Vraes inhabitants lived below the poverty line and nearly 47 percent lived in extreme poverty. Every year coca leaves sufficient to produce 285 tones of high quality cocaine are harvested.